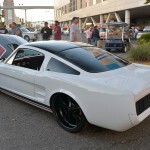 1965 Ford Mustang Fastback by Ryan Venturine! Amazing Car! 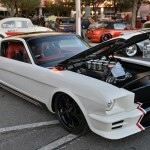 Our pick for the best auto on the SEMA 2013 Show is the amazing 1965 Mustang Fastback, built by Scott`s Hotrods n`Customs, in ownership of Ryan Venturine. The whole body has been modified; the roof discretely chopped off and the body panels custom-fabricated out of steel. The Roush 427 FE V8 boosts around 660 horses and 610 lb-ft of torque. 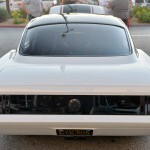 It has Tremec 5 speed transmission, custom tube chassis and a Moser 9-inch rear end. 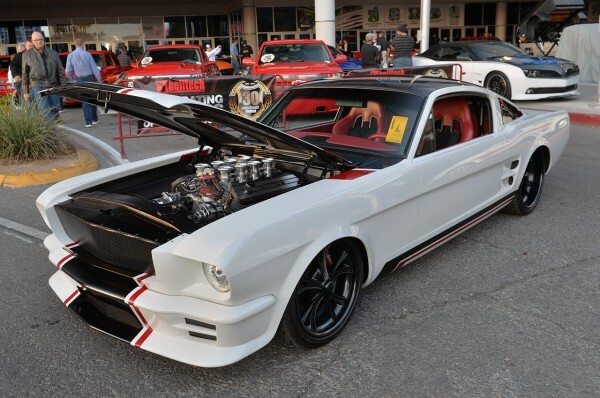 This Mustang Fastback can also brag with the Unisteer rack & pinion steering system, a full SCCA spec roll cage, custom interior completed with leather and suede, the AFCO coilover suspension system, the Wilwood disc brakes and the list goes on and on. Finally, you must check out this insane model they call Personal Vendetta on this link!